This morning, MOTA made their SmartRing official. MOTA already has a smartwatch out and we’ve been taking a look at it over the last few weeks. It doesn’t run on Android Wear, but it is compatible with both Android and iOS, and the same can be said for the SmartRing. 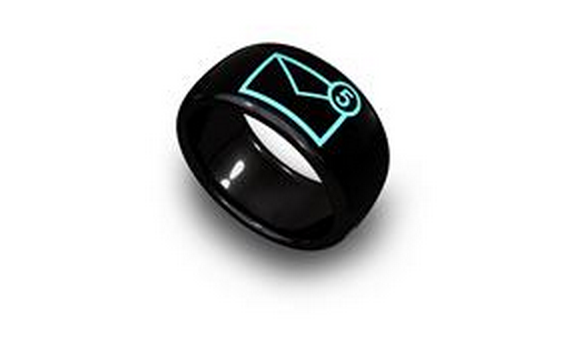 The SmartRing will show you all kinds of notifications, including incoming calls, Twitter notifications and more! Notifications are delivered in text-form. MOTA says that the SmartRing will be available in late Q4 of this year, but pricing is not yet available. However, MOTA will be showing off their SmartRing at IFA this week, so if you’re in Berlin or heading to the show, you can go and take a look at the MOTA SmartRing. MOTA’s products are pretty cool, but they may not be for everyone. As it is just text based notifications, but they cannot reply to them. We should see plenty of hands-on of the MOTA SmartRing at IFA once the show officially kicks off on September 5th. How many of you are excited to check out the MOTA SmartRing? Let us know in the comments below.